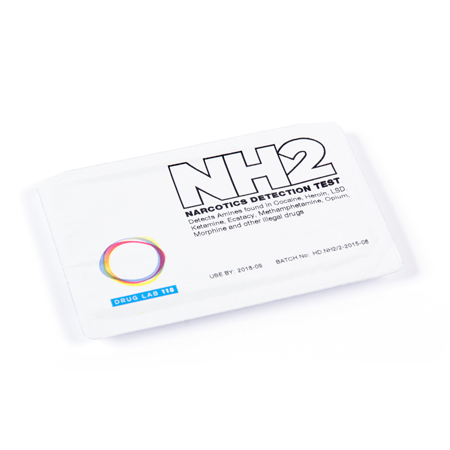 The NH2 is a unique and patented drug detection test that is a universal colorimetric screening test. 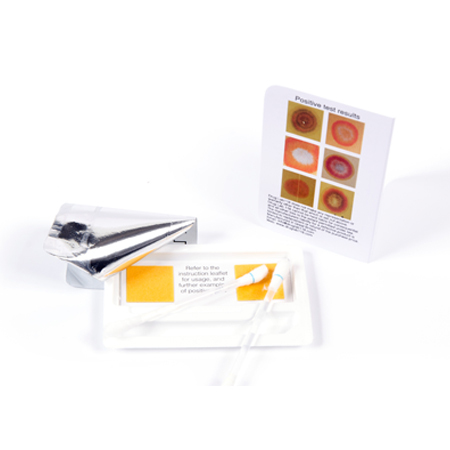 Each pack has two test pads and two swabs. It has been developed especially for the quick and accurate detection of the presence of illicit drugs in the field. It can also be used as a tool to aid law enforcement organisations to identify illicit substances prior to forensic analysis. 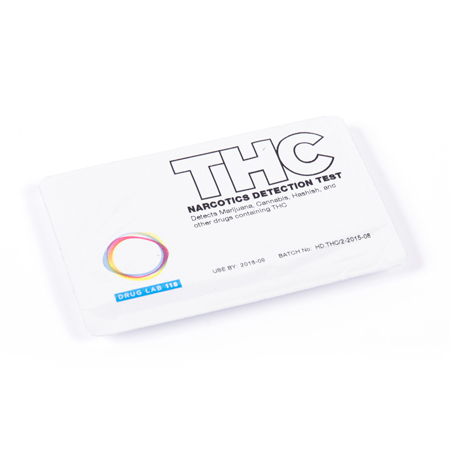 The colorimetric test instantly detects all illicit substances that are based on chemical amines. Most psychoactive substances (and hence most illegal drugs) contain amines while most non-psychoactive drugs and household items do not contain amines. The NH2 reacts to the residue (as low as 1mg) of any substance containing amines (which includes most Class A drugs) on the skin, or other surfaces. 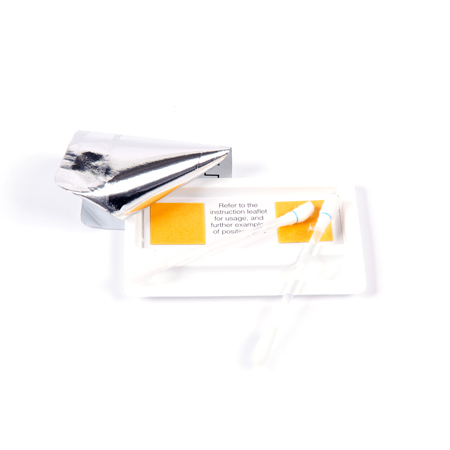 The NH2 uses a water based swab and contains no harmful components or chemicals and can be used by anyone without the need for extensive training. It is extremely simple, reliable and easy to use. 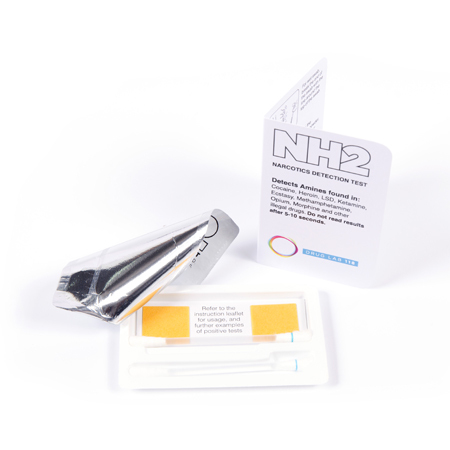 All classes of amines can be detected by the NH2 drug detection test. All of the drugs listed can be detected by the NH2 in quantities of 5 milligrams or more. They may also give a strong positive result at a concentration level of 1 mg or less. If the drugs are pure, they may even be detected at trace levels. The NH2 has a wide range of applications within law enforcement organisations such as border control, police and customs. 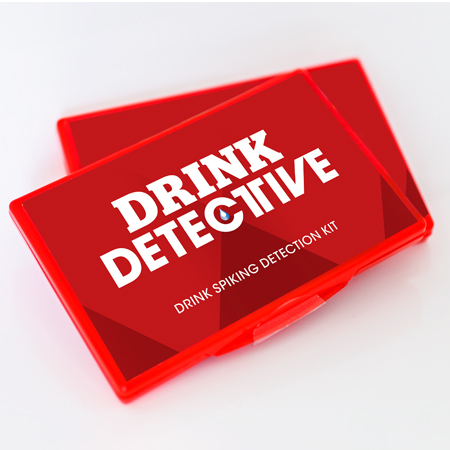 However, it can also be an extremely useful initial screening test and first response in many other organisations and environments where the detection of the presence of illicit substances is important, such as in schools, the prison service, licensed premises and for probation purposes. The NH2 Technical Data Sheet is available upon request.